Laser Marking and Engraving Service By Laser Impressions Inc. Applications: Laser Impressions Inc can mark any shape or illustration, identification, and a variety of Automatic ID codes, including but not limited to Data Matrix, Dot Matrix, Code 3 of 9, Interleaved 2 of 5 and many others. We have character recognition systems and 2D readers to verify and grade marks to ANSI Standards. Area of applications include medical, semiconductor, MEMS, aerospace and automotive industries. Materials: Laser Impressions Inc specializes in marking anodized aluminum, stainless steel, titanium, gold, silver, nickel, silicon, wood, glass, acrylic, delrin, and a variety of polymers. We have the capability of putting a permanent laser mark on the inner surface of rings. We can mark any font or custom logo required by our customer. Capabilities: With an unlimited font selection,Laser Impressions Inc has capabilities of marking alphanumeric characters as small as 20-micron height with smallest stroke width from 6 microns and engraving down to 0.1″ deep. Working area can be as big as 18X24″. 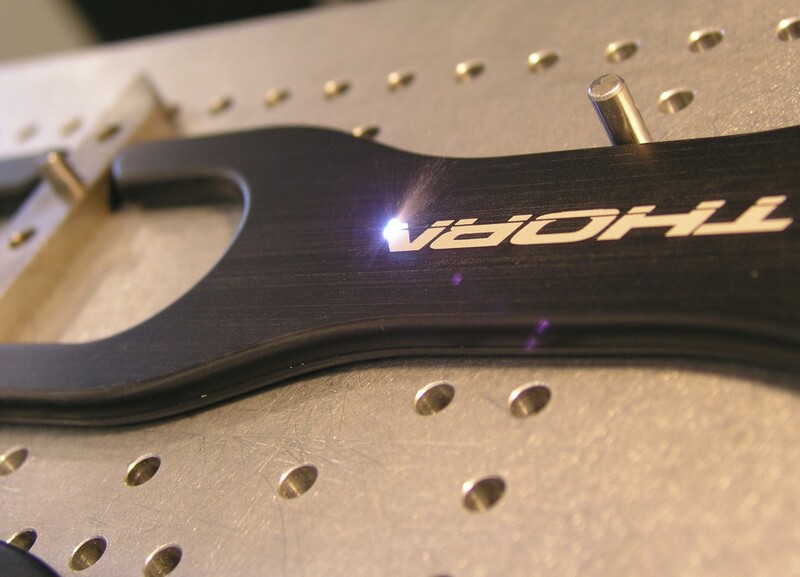 Our lasers have X/Y/Z stages and rotary indexers integrated to hold positional tolerances of +/- .001″. Logos and text can be machined on flat, cylindrical, and curved surfaces.